When you walk into the brand-new apartment complex Varsity on K, you would never know that just last year, it was an aging GW residence hall. The colorful and modern Varsity on K, which was City Hall until last June, officially opened in January and has transformed into a completely different building. Varsity on K landed the title best off-campus housing this year because of its many amenities and features that are designed for students. If you want to avoid spending hours building Ikea furniture, Varsity on K might be the place for you. 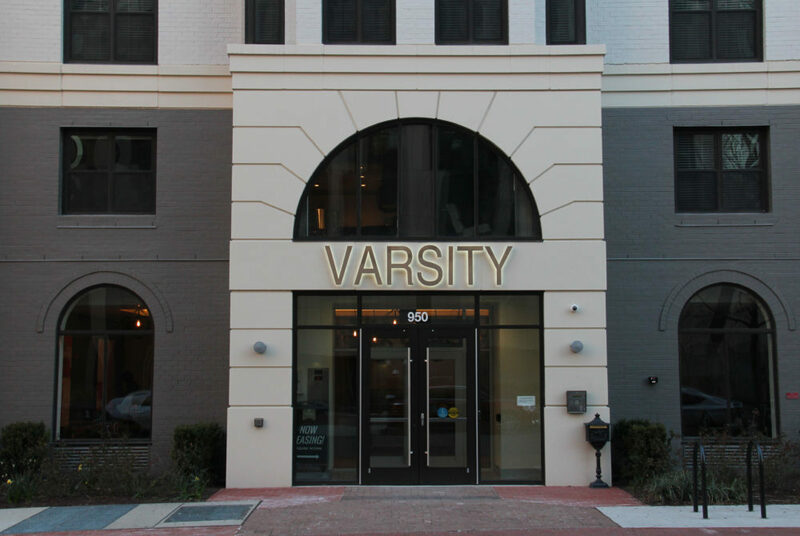 At Varsity on K, you can find fully-furnished units that include a flat-screen TV, washer and dryer, full kitchen, Wi-Fi and a walk-in closet. The building also has a 24/7 fitness center and a huge study room with chairs, couches, desks and outlets to charge phones and laptops. There is also a furnished private courtyard with a fire pit that’s perfect for a late night conversation or a s’mores session. Based on the floor plans, rent ranges from a minimum of $2,500 per month for a studio to about $6,000 per month for a three-bedroom-two bath configuration. Varsity on K advertises itself as an “ideal apartment complex for college students” and delivers on that promise. Along with a fully-furnished apartment, residents are offered monthly events, like free massages during midterms season. Located just off Washington Circle, Varsity on K sits at the perfect location. The building is convenient to both students’ classrooms and popular eateries and stores like Whole Foods, Sweetgreen and Trader Joe’s.